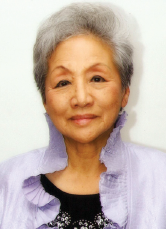 The Downtown Los Angeles Chapter of the Japanese American Citizen League and the Japanese Women’s Society of Southern California has selected five exceptional Japanese American community leaders for the 2016 Women of the Year Award: Fumi Akutagawa, Ellen Endo, Toshie Kawaguchi, Michie Sujishi, and Carolyn Tokunaga. 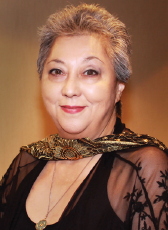 This year’s luncheon event will be held at the Quiet Cannon, Rooms Crystal 1 and 3, 901 Via San Clemente, Montebello, on Sunday, May 1, at 12:30 p.m.
Fumi Akutagawa was born and raised in Tokyo. In 1964 she visited her German friends, who asked her to dress in a kimono. Shortly after that in 1965, Akutagawa enrolled in the Sodo Kimono Academy in Tokyo. While attending kimono school, she also attended Edo Senke Tea Ceremony School and Koryu Shotokai to learn ikebana. After graduation, she started teaching kimono dressing and enrolled in the very first kimono dressing contest in 1972 at the Tokyo Imperial Theater. As the first runner-up winner, she was able to put on a furisode and obi within three minutes. Akutagawa still holds the fastest record as of today in Japan. In 1976, Akutagawa moved to the U.S., where she began to dedicate the next 40 years to educating the local community about kimono, Japanese tea ceremony, ikebana, and Japanese calligraphy in greater Ventura and Los Angeles counties. She also volunteered her time in numerous elementary/junior/high schools, colleges, libraries, churches, community centers, and Japanese gardens, including Descanso Gardens, the Huntington Botanical Gardens, and the Suihoen Japanese Garden. She has been a participant in many cultural events at the former New Otani Hotel and has conducted numerous kimono shows for over 30 years. Akutagawa has provided kimono consulting for television, movies, and music productions, including “Gung Ho,” “Edo and Haru” (NHK drama), “Spiderman,” “Doll in the Dark,” “Memoirs of a Geisha,” and Madonna’s world video tour (2001), and has dressed numerous Japanese actresses for red-carpet events. In 1988, Akutagawa was presented with a Certificate of Appreciation by Los Angeles City Councilmember John Ferraro. In 1999, she received the Outstanding Cultural Award from the Japanese Chamber of Commerce of Southern California. In 2010, she received prestigious global recognition when awarded the International Kimono Award from former Prime Minister Yoshiro Mori and Chairperson Norio Yamanaka of Sodo Kimono School for all her Japanese cultural education efforts in the U.S.
Today, Akutagawa serves as an advisor of the Los Angeles Kimono Club, continues to volunteer in the local community, and teaches private tea lessons out of her home in Moorpark. Ellen Endo’s father, Masami Endo, a Nisei raised in Japan, was drafted into the U.S. Army during World War II. While stationed in Europe, he met a young Italian woman, Giovanna Dal Canton. They fell in love and married. Endo was born in Italy almost two years after the war ended. Endo’s father left the Army after a 12-year career and moved his family to Los Angeles in 1953. There, he and his wife operated a 40-unit hotel in Skid Row near Little Tokyo. Endo showed an interest in writing at a young age. One of her high school English teachers encouraged her to enroll in a journalism class, which led her to become the editor of the school newspaper, The Belmont Sentinel. A year later, Endo was hired as a reporter for The Rafu Shimpo. She went on to study journalism at the University of Southern California and became The Rafu’s English section editor at the age of 19. During the ’60s and ’70s, the Sansei generation was leading a change in the Japanese American community. Young leaders were voicing their opinions about everything from civil rights to drug abuse to the forced removal of their parents and grandparents during World War II. Aside from expressing her views in her column, “Open End-O,” Endo became actively involved in several causes. She was one of the founding members of Asian Americans for Fair Media (AAFM), an organization that encouraged diversity and fought against harmful stereotypes in movies and television. Her activism caught the attention of ABC Television executives, and she was offered a job with the network. The opportunity to effect change from the inside led Endo to leave her Rafu Shimpo “family” and join ABC. For the next 24 years, Endo held various executive level positions in the entertainment industry, overseeing approximately 25 TV series and a more than a dozen motion pictures. In 2001, Endo’s career path changed again when she was invited to become The Rafu Shimpo’s managing editor. The notion of returning to her roots drew Endo back to the Japanese American community. A highlight of her return came in 2004 when she was invited by the local consulate office to go to Japan as a journalist to meet with key individuals involved in U.S.-Japan cultural preservation, environmental issues, and the changing role of women. When the Little Tokyo Business Improvement District (BID) was being organized, Endo became active in the Little Tokyo Business Association (LTBA) and helped managed the BID. She served as LTBA president in 2005 and 2006 and was a member of the Little Tokyo Community Council’s Marketing Committee. She also joined the USC Asian Pacific Alumni Association Board of Directors, twice chairing its Scholarship Dinner. In 2008, Endo moved to San Francisco to take a job as executive director of the Asian American Journalists Association. However, she returned to Los Angeles in 2010 to care for her mother, who had been diagnosed with dementia. She worked out of her home so that she could be with her mother and established a consulting business specializing in media relations and communications. Early in 2015, Endo faced her biggest challenge when she was diagnosed with uterine cancer. She kept the diagnosis a secret and only told family members and a few close friends. She is happy to report that today she is cancer-free thanks to the love of her family and the support of her friends. Keeping busy as LTBA president undoubtedly helped as well. Toshie Kawaguchi was born in Kobe on May 10, 1940. At the age of 4, she moved to Yamakawa, County of Ibusuki, Kagoshima Prefecture, which is the present-day city of Ibusuki. In 1959, Kawaguchi graduated from Kagoshima High School. In September 1961, she married Yoshinori Kawaguchi, who was back from the U.S. visiting his hometown. Following the marriage, in November, Kawaguchi accompanied her husband to the U.S. While helping to manage the apartments they owned, Kawaguchi began to associate with a gardener friend from Kagoshima Prefecture. Soon she joined the Kagoshima Prefectural Association, volunteered in the Women’s Auxiliary and eventually was elected successively to the positions of vice president and president. In 1980, when her children were enrolled in Daiichi Gakuen of Kyodo System Japanese School, Kawaguchi was elected as the vice president of the Parents Association and later became its president. Around that time the Kawaguchis bought a liquor store, which required them to work hard and put in long hours. She and her husband took turns managing the store, often staying up past midnight, while raising their three children. In order to have a more relaxing and better-paying profession, Kawaguchi endured the hard work with the help of two employees, and sent her husband to real estate school to obtain a license. Her husband was able to overcome the language handicap and mastered all the unfamiliar real estate terminology. He passed the real estate exam as well as the broker’s exam and was able to open his own real estate company. It was a reward for helping each other and enduring the hard work for many years. Over the years, Kawaguchi volunteered as executive secretary of various community organizations and as vice president of North American Hyakudoukai and Southern California Showakai. At Showakai, she devoted her time to the yearly fundraising event sponsored by the Japanese Chamber of Commerce in December to help the needs of the Japanese community. Kawaguchi became a member of the Japanese Women’s Society of Southern California in 2008 and started actively participating in the events of the Fujinkai. “As a vice president of the JWSSC, it is my hope to contribute the best that I can and follow in the footsteps of many distinguished leaders who have contributed to the success of this organization for over 100 years,” she said. Additionally, Kawaguchi volunteers for the Little Tokyo Senior Nutrition Center several times a week. She enjoys interacting with the seniors in the Little Tokyo area. Michie Barbara Sujishi is a Sansei born in Burbank. As a young child during World War II, she and her family were sent to the Manzanar incarceration camp. The family subsequently relocated to the Tule Lake camp as her grandfather wanted the family to return to Japan after the war. Sujishi spoke no English when she first moved to Japan and her mother spoke no Japanese. What a pair! The family settled into life in Tottori Prefecture. At her mother’s suggestion, after completing high school, Sujishi attended a beauty college in Kamakura, near Tokyo. She excelled in the two-year program and was invited to teach new students after she graduated, which she did for six years. Part of the beauty education in Japan involved learning how to dress and style women for formal events, including kimono dressing. In 1963, Sujishi and her mother moved back to the San Fernando Valley, where she met and married her husband Hisashi in 1964. They have two children, Cathy and Mako. Her involvement with the Nisei Week Japanese Festival began that same year by way of her uncle. Her uncle told his friend Mr. Torii, a kimono shop owner in Little Tokyo, about his talented niece who was an expert kimono dresser. 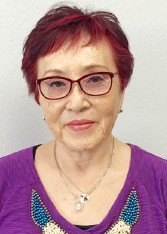 Thus began her 50-plus-year journey of volunteering for Nisei Week. When her daughter Cathy became a teenager, she started helping her mother with dressing the court in kimono for the Nisei Week festivities. 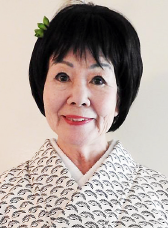 While Sujishi started as a kimono dresser, her volunteer career with Nisei Week expanded over the years to include being queen chair, chaperone, and kimono and Japanese etiquette trainer. Her professional career also took off. In addition to doing many wedding and event makeup and hairstyling, she worked on films (“Karate Kid”), commercials (Kool-Aid), and television (“The Andy Williams Show”). After working at several salons in the San Fernando Valley, she opened her own salon, Michie’s Place, in Van Nuys in 1995. She still owns and operates the salon today, using only the finest hair products. She is a master hair colorist for Goldwell, having completed additional education with the company. Sujishi loves furthering her education, be it in learning the latest styles, treatments, and trends in hair to traveling to Japan to continue to learn about the art of kimono dressing. Her passions outside of making people feel and look beautiful include singing, going to the theater with friends, traveling, and enjoying her four wonderful grandchildren. She is grateful to give back to her cultural heritage by sharing her natural talents. Carolyn Tokunaga was born in Chicago and grew up in Los Angeles, attending 6th Avenue Elementary School, Foshay Junior High, and Dorsey High. A BA from UCLA in anthropology and a California Teaching Credential set her on her career path. Tokunaga was an employee of the Los Angeles Unified School District for 32 years. She taught Grades 1-4 at schools in South Central Los Angeles, Topanga Canyon, and the San Fernando Valley. While she enjoyed experiencing new environments, meeting new people, and learning new curricula of different schools and grades, she felt that teaching was always about the children with its many rewards – witnessing a concept understood, a skill mastered, or the progress throughout the school year. Equally rewarding was guiding student teachers. 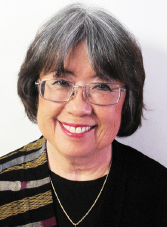 For 20 of those school years, Tokunaga served as the on-site union representative for United Teachers Los Angeles and continues active participation in UTLA Retired. Tokunaga and her husband, Asao, will celebrate their 50th wedding anniversary this year. Their son Jason and his wife Katrina presented them with their first grandchild in February. Their daughter Allison travels with Tokunaga and solves her computer problems. Family gatherings and time spent with family members are a precious part of her life. Tokunaga retired in 2003 and spends her time crafting and sewing for the Centenary United Methodist Church bazaar and enjoying lunch or dinner with longtime friends and past work colleagues. Church outreach/mission projects consume many of her days. She enjoys traveling and has recently explored Iceland and the United Arab Emirates. With travel comes learning and the understanding of people and cultures. For entertainment, she attends the Pantages Theater productions, the Hollywood Bowl, and Little Tokyo events. Centenary UMC is Tokunaga’s family and home. It was the church of her grandmother and is an integral part of her life. It nurtures her passion for helping others and provides the spiritual strength that guides her days. Tokunaga has been blessed with family, good friends, and a life that is joyful and fulfilling. Tickets are $40 per person. The deadline for reservations is April 15. Registration begins at 12 p.m. Attendees are asked not to bring gifts. Make checks payable to Downtown L.A. JACL. Mail check and the list of attendees to: Amy Tambara, Women of the Year Chairperson, 526½ W. Riggin St., Monterey Park, CA 91754. For more information, call Tambara (English/evenings) at (323) 722-3897, Rodney Nakada (English/Japanese/days) at (213) 628-1800, or Kay Inose (English/Japanese) at (310) 541-8022.